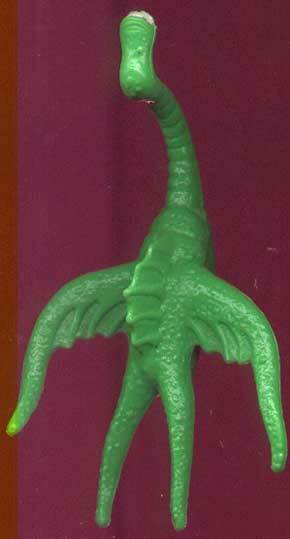 Everyone knows that the Dianoga is the goofiest thing Kenner ever made for Star Wars. It's green, rubber and has a mouth on its chest. But this painted prototype (the released version was unpainted) succeeds in making it even goofier. The painted elements include the mouth and teeth, the eye and many of the wart-like bumps on the creature's body. I suppose it's possible that Kenner originally planned on painting the Dianogas included in their Death Star playsets. If this was the case, it was probably decided to nix that idea in order to save on production costs.